Professional Pharmacy opened in 1981 on Wilhite Drive. Over the years, a relationship grew with neighbors Pediatric and Adolescent Associates (PAA) and Physicians for Women, as well as many providers in the area. In 2001, the pharmacy moved with PAA to the current location at 3050 Harrodsburg Road. Our compounding practice grew from a request by Dr. Nunnelly in 1981 for Progesterone Suppositories. With the larger space on Harrodsburg Road, our compounding operations have grown to include hormone replacement, pediatric needs, and veterinary patients. And we don’t have carts. Our mission at Professional Pharmacy is to provide professional medical care in a fun and welcoming environment. We strive for personal care and attention in a sometimes confusing and complicated medical world. Concerned how your medications will interact? We put our customers first. We make sure to ask you the pertinent questions to ensure you’re taking the medication correctly. Gene Thompson graduated from University of Kentucky College of Pharmacy in 1976 after time with the National Guard and then GE Appliance Park in Louisville. He opened Professional Plaza Pharmacy on Wilhite Drive in 1981 and has enjoyed meeting so many patients and their families though the years. He is proud to say he is now a “grandpharmacist”, as he is filling prescriptions for the children of the children he took care of in the early days. 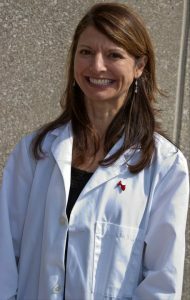 Brenda Edelen graduated with the University of Kentucky College of Pharmacy Class of 1989. Brenda explored a number of pharmacy practice opportunities ranging from nursing home elder care to chain pharmacies to dosing challenges of federal prison patients to equine compounding. Bringing together those worlds, Brenda currently enjoys solving problems through compounding. Brenda has particular interest in preventive health, women’s health, and organization. Gene is still a little unsettled by the Fax Relocation of 2016. 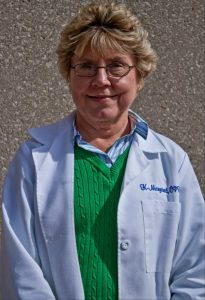 Linda Marcum has been a pharmacy technician for many years. Our patients enjoy Linda’s professional care as well as her genuine interest in their lives and their families. Many refer to Linda by the nickname Gene lovingly assigned when he first met Linda as a K-Mart employee, “K-Margaret”. 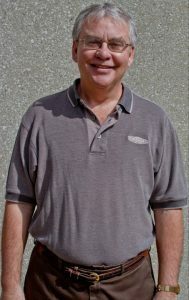 Larry Cornett is our compounding technician. 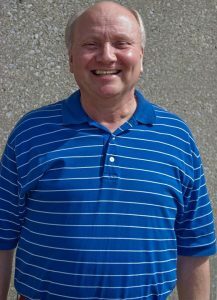 Larry came to Professional Pharmacy after retiring from the VA Medical Center Clinical Laboratory. Larry graduated from Berea College. He is married to Nurse Ratchett. Um, he meant to say Nurse Judy.